﻿ The Galley - Ohio. Find It Here. 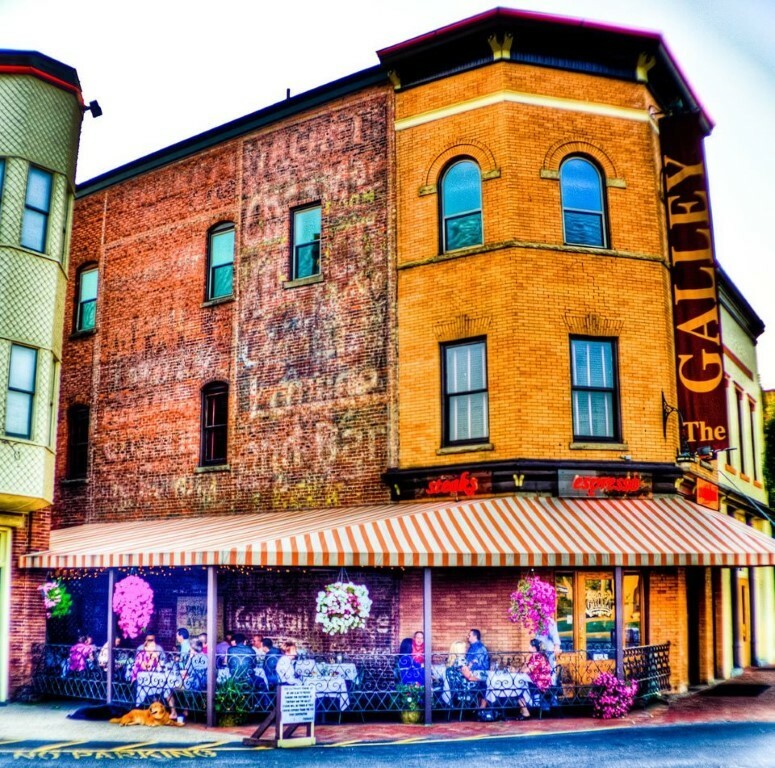 The Galley is quite literally in the center of Historic Downtown Marietta and continues to be the hub of its entertainment world. We are on a culinary mission to provide the most interesting and best quality food possible. Our Culinary Director has designed a menu based upon fresh ingredients, quality meats and vegetables, unique flavors and familiar favorites. This is why youll see the areas best burgers on the same menu as wasabi crusted tuna. The Galleys culinary perspective sits at the crossroads of neighborhood gastropub and high-end steak house.Tapping into the local dining scene takes just that  taps. And guess what, we have 24 of them. We also carry well over 50 bottled beers, a beverage menu, a wine list that will make you drool as well as an elite Captains List appropriate for any occasion. Three antique bars serve specialty libations, rotating craft brews, domestic beers, aged whiskies and even cigars! In an effort to keep the newest and best selection for our customers, we host craft brew and wine dinners monthly. These limited ticket evenings pair seasonal beers and wines with multi-course meals and live entertainers for a distinctive culinary experience.